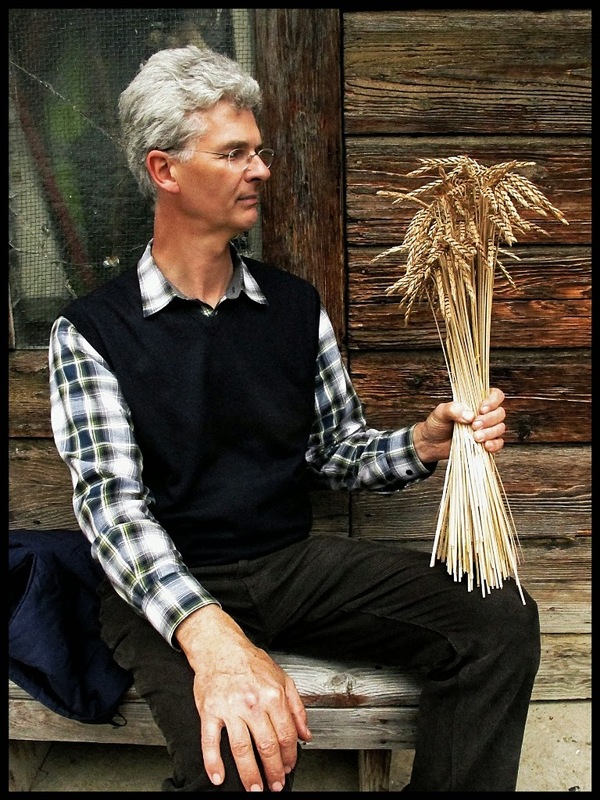 This is Valter Mlecnik, who is a wine maker and spelt farmer. I took this shot while on a trip to Slovenia. This picture was a finalist in Food And Its Place. I didn’t win but there was an impressive selection of pictures in the gallery at last night’s awards. Tessa Traeger won The Lifetime Achievement in Food Photography award. She gave an interesting speech about how food photography used to be regarded as the poor cousin to other genres of photography and how that perception has changed drastically. 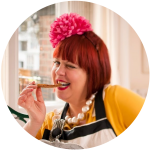 In fact food photography is probably the fastest growing and most popular type of photography. She mentioned how few women photographers there used to be in photography in general (although women photographers have always been stronger in the fields of food and still life photography). Certainly in food photography, this is changing. There were many female photographers amongst the finalists in these awards, and the winner was a woman, Tessa Buney, with a stunning shot of noodle making, which is heartening. But in other types of photography, women photographers (as are ethnic minorities) get less work, are paid less and have less prestigious jobs. I’ve always been interested in controlling the image. At school I spent assemblies giving the other pupils a makeover in my mind’s eye and working out how I would photograph them. By the age of 18 I was shooting groups, at the gigs I regularly attended. I grew up on the NME when it was the coolest weekly newspaper with funny, dark, intimate, writers like Charles Shaar Murray, Nick Kent, Mick Farren, Chrissie Hynde and Julie Burchill. I remember ‘Susan Wells’. The boys at NME, and make no mistake, it was mostly male, public school educated at that, were thrilled that they had a great new female writer. Susan turned out to be Steven ‘Seething’ Wells, the punk poet, not a woman at all. There used to be fierce hand-wringing debates in the music press as to whether women could write and perform rock. Looks stupid now doesn’t it? No one, I replied, it’s my own work. Women Art Directors weren’t much help either, they often preferred to hire young good-looking men who would make them feel attractive (a quality in short supply if you are an older female in a position of power). When I did get commissions, and took a male assistant, inevitably the subject would assume that my assistant was the photographer. One writer said to me: “The problem is you don’t look like a photographer”. Photographers, if they had to be female, looked like Annie Liebowitz, tall, skinny and fairly asexual. You see, a camera doesn’t hang right if you have breasts. Or something. Are things different now? I don’t know. Front covers still seem to be shot by men, while women photographers still get the little jobs. Photography bylines still seem to be mostly male too. White male, of course. One of my most unsettling experiences of sexism was, sadly, with female photographers. Channel Four hired me to get portraits of some extremely good, but overlooked, female photographers, from the past. It was at a busy reception and I found it hard to get these women to respond to me, to look at the camera, to listen to my instructions. I put it down to distraction. But then a middle-aged white male photographer arrived and quietly asked the women to look his way for a group shot. He didn’t have to battle for this. He just asked them. To a woman, their heads swivelled meekly towards his camera. They responded to his instructions for a set of shots. I almost didn’t believe my eyes, I wondered if I was being paranoid, if it was my imagination. After all, this was a documentary series on the difficulties these female photographers had faced and their lack of recognition, despite having covered some of the most important stories of their era. ‘Did you see that? How they obeyed the male photographer and not you? How sad’. We were both baffled. And I felt slightly humiliated, to be frank. But I loved photography, loved it to the point that I’d print all night, sleep on the canvas backgrounds in the studio so I could continue early in the morning. I had one green hand, my printing hand, from the developer chemicals. In terms of influences, I admired the purist philosophy of Henri Cartier-Bresson: no cropping, catching the moment. Although unlike him, I rarely used the ‘standard’ lens, a 50mm, which is closest to what the human eye sees. I mostly used a portrait lens (85mm or 105mm) and a wide angle (I had a 35mm and a gorgeous 24mm). My cameras in the analogue era, were Nikons, solid metal but light-weight, and manual. Everything was manual, focussing, light readings, the lot. And I still think that this is how you learn. And of course, it was mostly black and white. Kodak TriX was my film of choice, lovely crunchy contrasty pictures. I printed on Afga Record Rapid, a paper with olivey blacks. I loved printing, emerging squinting into the daylight after a long session. I liked the darkness, the smell, the isolation. I’m a damn fast printer, for I trained in Fleet Street, where sometimes films were printed wet. Sometimes the story was needed so fast that you wouldn’t wash the film after fixing, you stick it through the enlarger still wet. Then you’d have to print 50 10 x 8’s, identically, by hand, creating a rolling flick through the dev, then briefly in the fix, then squeegeed, dried through a roller and packed into a manila envelope. A messenger would run down to Fleet Street and deliver by hand to each picture editor. At the beginning I was the messenger. It was thrilling to enter the black and white marble of the Art Deco Daily Express, the dark, cramped Daily Mail and Evening Standard, in Fleet Street proper. The Times and The Guardian were a pain as they were off my route. I grew strong and fit running back and forth Farringdon Road all day. The noise coming off the hundreds of typewriters, clattering, the sheer scale of the newsroom, the gruff picture editors, smoking indoors. We don’t see any of this now in the modern office, hushed to the padded sound of computer keys, aglow with digital light, everyone in their own world. Now I’m shooting mostly food and travel photography, I’ve gone digital and Canons have replaced Nikons. Financially it’s cheaper to shoot digital. I stopped shooting for years because I couldn’t afford to pay for film and paper. Now we can shoot non-stop. That’s progress. 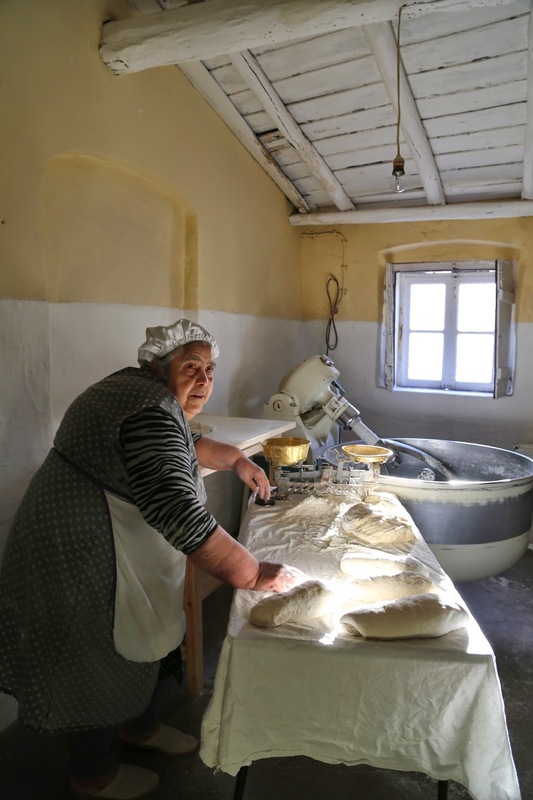 Joana Roque, who at 76 is still baking bread at her home in a village in the Alentejo region of Portugal. Here is the blog post about that trip. This photo was in the last 400 finalists. Fascinating story behind the pictures. You paint a vivid picture of Fleet Street. Baking bread at 76?.. Bless her! What a great blog and such wonderful pictures. I have spring fever now..